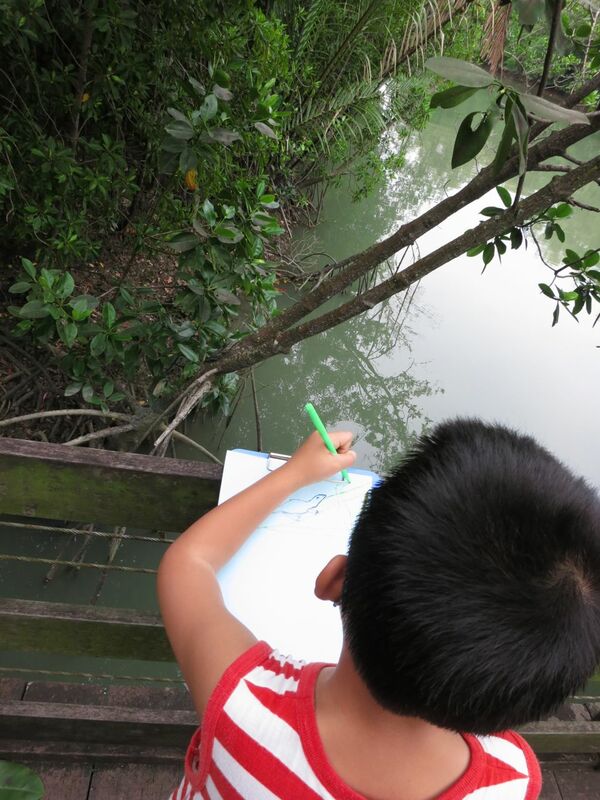 The Naked Hermit Crabs are back on the guided walk at Pasir Ris mangrove! Despite the heavy downpour in the western part of Singapore, it was relatively dry at Pasir Ris Park. Organising my first guided walk at Pasir Ris mangroves for the year, I saw a turnout of about 30 visitors of various ages. It was heartening to see our past visitors joining us for the same walk again. 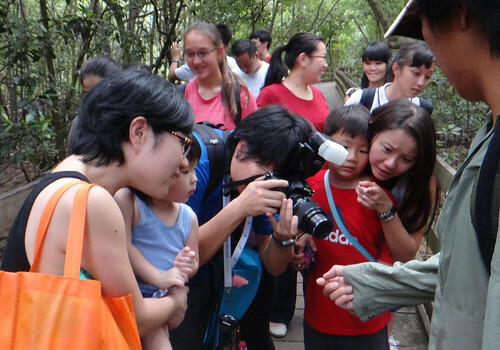 It is great to see families bring their children out to experience nature. 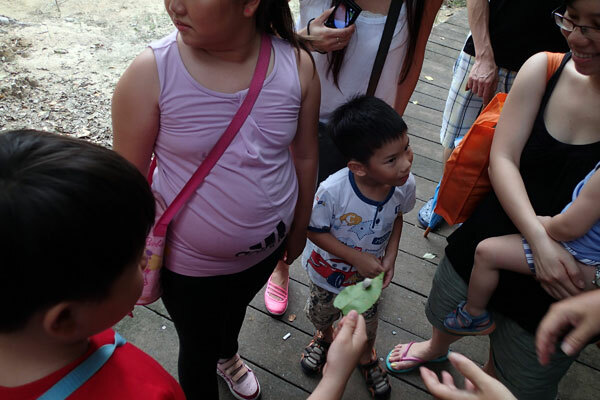 Children observing a snail on the underside of a leaf and asking all kinds of questions. Even the adults are enjoying themselves in the walk. Ley Kun guiding one of the groups. 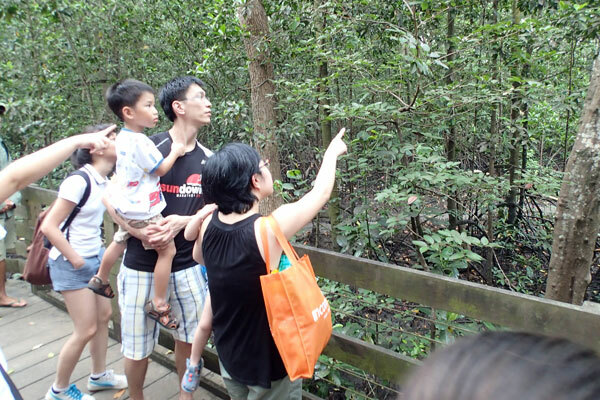 At the start of the mangrove boardwalk, one of the orchid plants planted by NParks was flowering. It was one of the few orchid plants NParks planted on a tree, next to where big Tiger Orchid plant is located. Unfortunately, I forgot to take a picture of the pretty orchids. 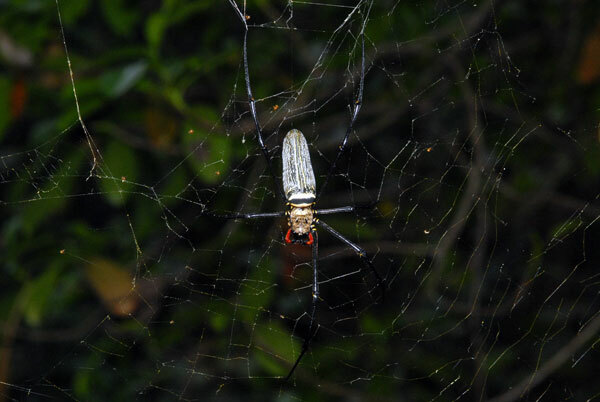 Shortly into the walk, I spotted a golden orb web spider (Nephila pilipes). This poor female spider's web looks quite damaged and she lost two legs on her right. 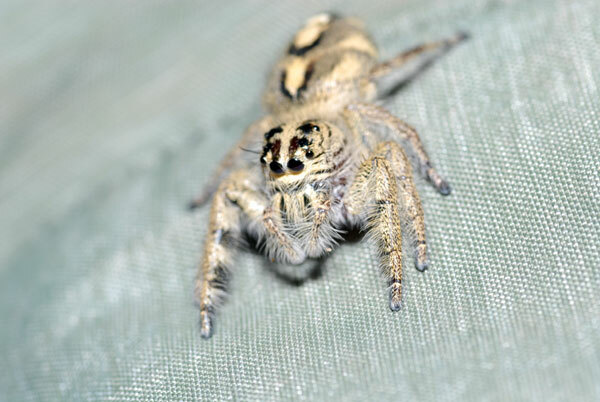 Another spider we encountered during this walk was the heavy jumper (Hyllus diardi). 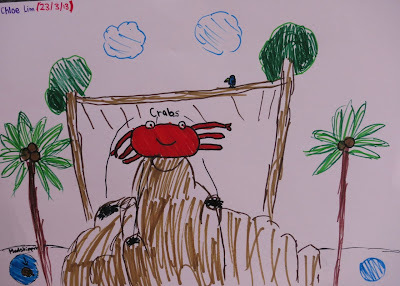 It got the children screaming and squirming as Jerome helped to bring the spider closer to the children. Visitors looking at the spider while I was taking photos of it. 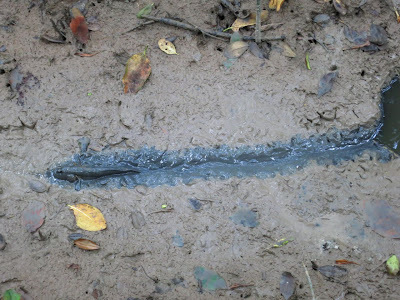 How lucky, some children wanted to see an inch worm and we found one! 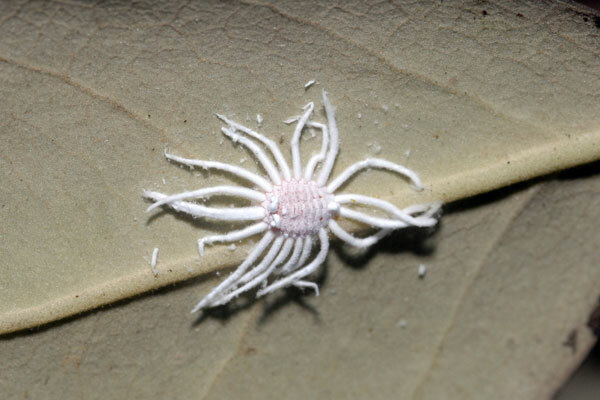 The other animal that got the children squirming was a mealy bug, which Ley Kun found. What are the visitors pointing at? Oh... it was an atlas moth caterpillar. 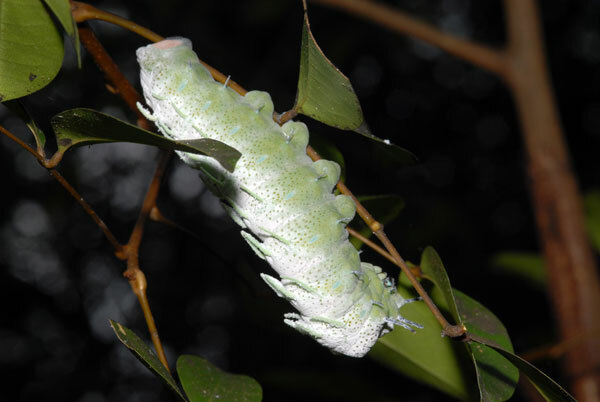 It is easy to recognise a atlas moth caterpillar based on its size. It is a huge caterpillar. It was a kind gentleman on the boardwalk who alerted us about this caterpillar. He was also taking pictures of it. The atlas moth does not have a mouth piece. 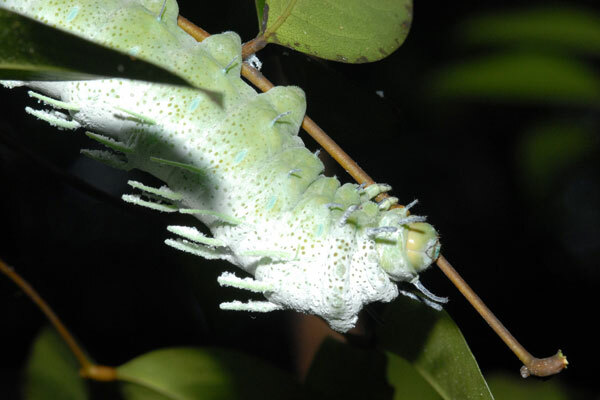 It can only feed during the caterpillar stage and a single atlas moth caterpillar is capable of wiping out leaves of a young plant. When the caterpillar morphs into a moth, its objective is to look for a partner to mate and lay the egg before it dies. 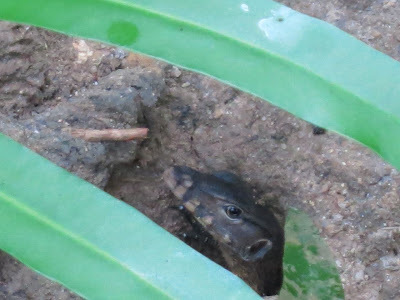 Over at Ley Kun's group, they saw a juvenile malayan water monitor lizard peeking out of a crab hole. 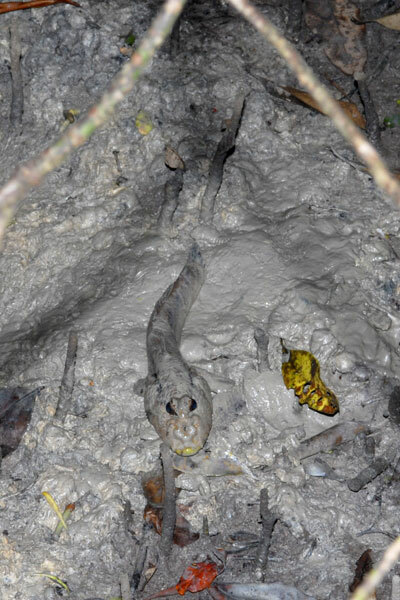 We wonder what it was doing inside the hole? The giant mudskippers were plentiful as usual in the mangrove having their own activities. 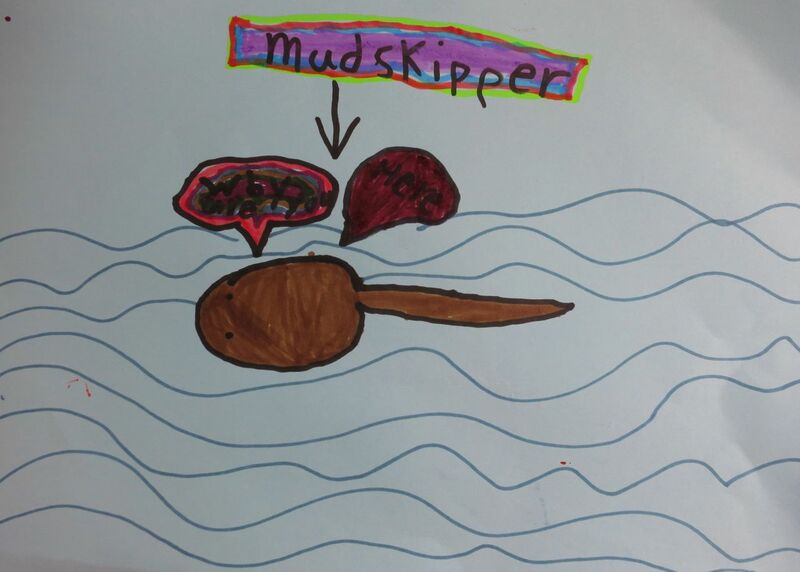 Some were moving around, while some has a scary mud spa. 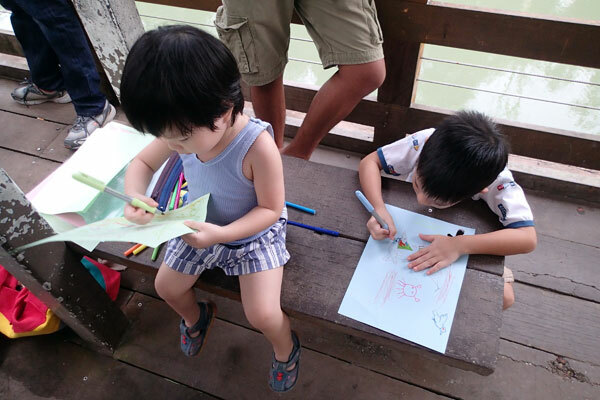 At the end of the walk, our visitors were treated to a lovely and tranquil view of Sungei Tampines. 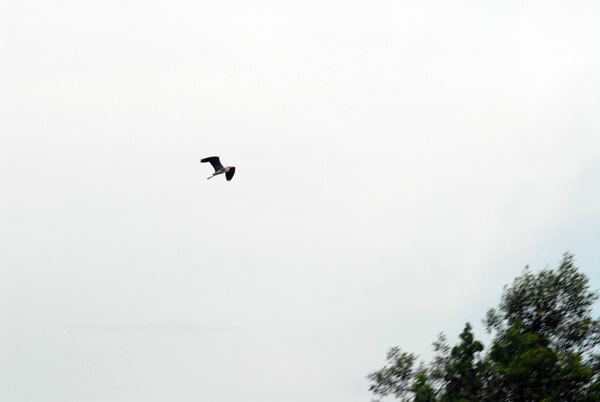 We saw some of the resident grey herons flying towards their nests further downstream. 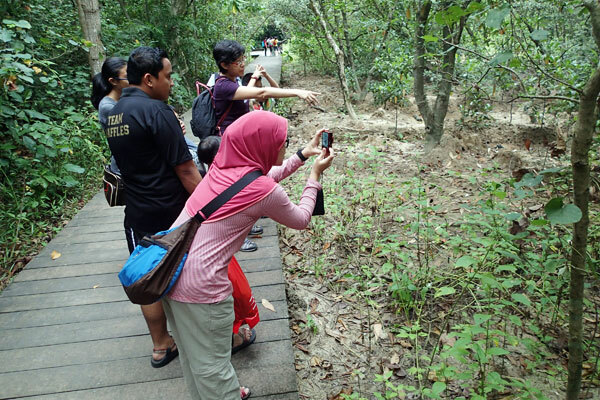 Some visitors spotted a water monitor lizard lazing on a tree and then a swimming one at a later time. 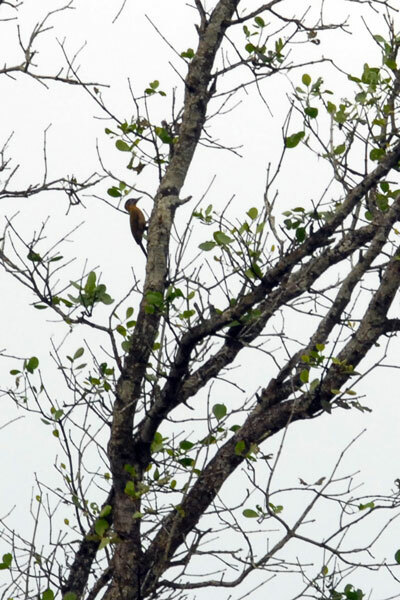 High up on a tree, Sankar and this group spotted an uncommon woodpecker. 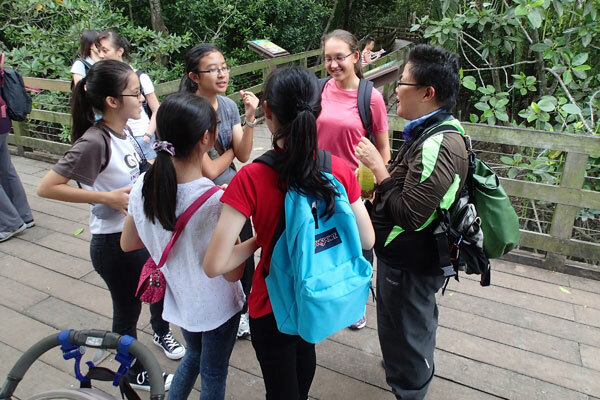 On this trip, we had 5 girls from CHIJ Katong Convent who are on a nature guiding program in becoming a nature guide for the Pasir Ris mangrove guided walk. At the end of the walk, Ria spent some time talking to these girls. Having a chat with Ria. 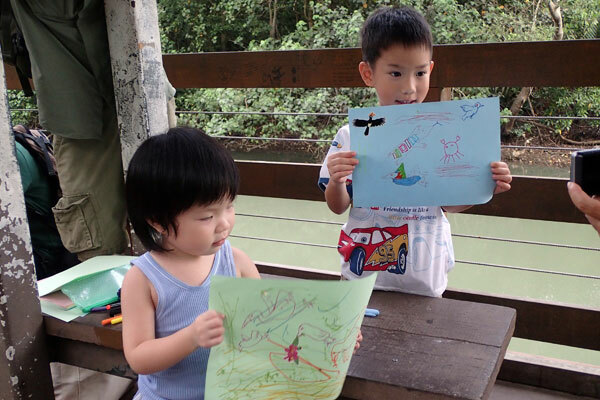 Future nature guides with their lovely guestbook drawings. Our visitors were also spent some time working on their guestbook drawings and usually the children are the most serious one working on it. 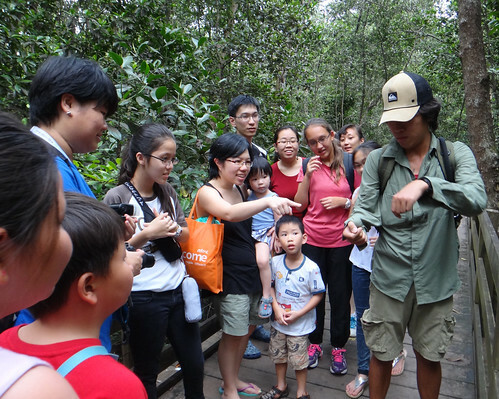 Guiding the visitors for this walk, we have Ivan, Ley Kun, Ria, Pei Yan and Sankar. 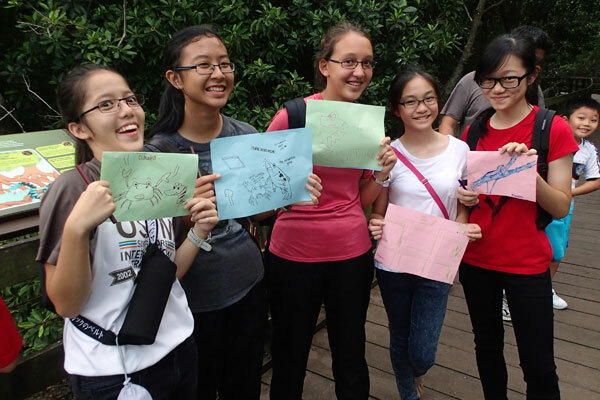 Also a great welcome to our young nature guides of Pasir Ris mangrove: Claudia, Cheryl, Kristine, Erynn and Charmaine. 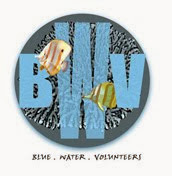 For those who are interested to join us for the Pasir Ris mangrove walk, the next session is on 20 April 2013. 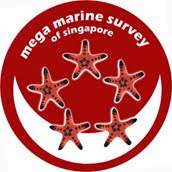 Do sign up through this online form.